When you are choosing a shoe, you want to make sure that it meets specific needs. If you are a runner, you need something light with a snug fit. 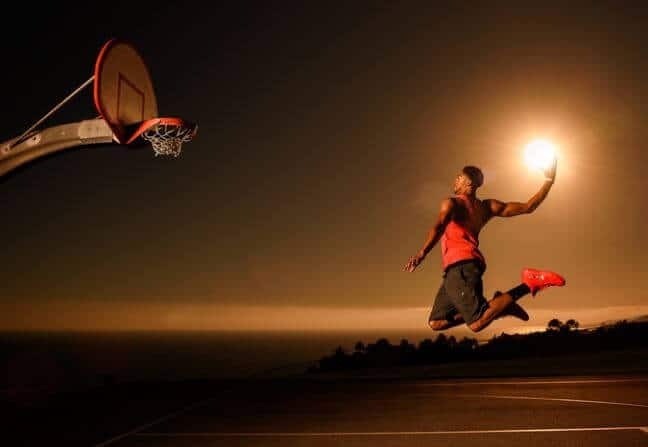 Basketball shoes need to support your ankles and work boots should provide adequate protection for your feet in case you drop something heavy on them. Wading boots are no different. There are quite a few different wading boots to choose from. 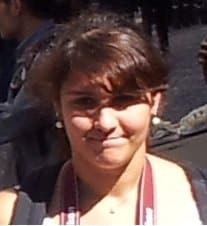 If you do a search, you are going find more options than you know what to do with. The mistake most people make when buying these shoes is determining their purchase on price. Going for the lower cost options almost always result in a dissatisfied customer because some are just made poorly. They use cheap glue to hold the seams together that allows water to enter and start to fall apart after a few uses. Others are so uncomfortable due to a lack of padding that they make wearing them a chore. Buying the most expensive pair on the market doesn’t mean you are getting the best wading boots either. Overpriced items may boast advanced designs and technology, but in actuality, they do nothing to improve the wear of the shoe. Some of the more expensive models on the market may not be the best choice for your environment either. Overly thick, warm wading boots may be perfect for the Pacific Northwest, but for someone fishing in the salt flats of the Florida Keys, they are too hot. The reverse is true as well. You don’t want to buy a pair of shoes made for warm water if you are fishing or hunting in water that is freezing cold. To buy the best shoes for your needs make sure that you buy for your environment and do your research. Guides like this one help you determine what is best for you. So, let’s look a little more closely at how each of these factors play into what makes good wading shoes. Rarely is the bottom of a stream or creek an even flat surface. Often you are going to find yourself stepping on rocks, logs, sticks, and other debris that could make your footing less than ideal. Even when hiking to your favorite fishing spot or hunting grounds you are likely going to cross some pretty rough terrain. 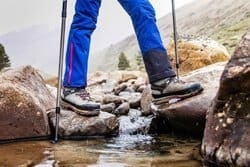 The best wading boots are going to have proper ankle support to protect you from sprains and twisted ankles should you lose your footing if you step on something. When you minimize this risk, you have a better chance at enjoying your day outdoors and not having to limp your way back when you finish your outing. Identifying wading boots with proper ankle support is easy. 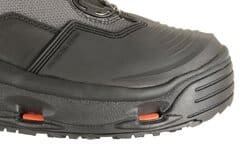 The areas around the collar will contain extra padding for a snug fit, and a stiff heel area will control movement when you step on something you weren’t expecting. Additionally, a good lacing system provides extra support. When your boots are on and laced up, there should be no room to wiggle your feet, and your heel should not lift off the bottom of the shoe when you take a step. You are wearing these boots in water whilst fishing and things can get slippery quickly if your footwear doesn’t have the right sole. Nothing can put a damper on your day more quickly than slipping and falling into the water, particularly if you drop your gear. 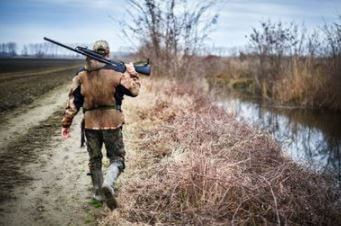 A bad fall is quite dangerous as well, especially if you are carrying a loaded hunting rifle. 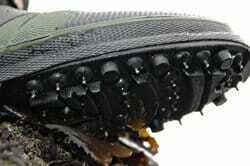 The soles are commonly rubber, studded, or made from felt. Rubber soles are pliable enough to give a bit when you step on odd contoured ground while providing plenty of grip on even slippery rocks and stones. The thick coating of rubber provides extra durability as well, even comparable to the soles of some of the best hiking boots. Studded boots allow you to screw studs or cleats into the sole if you are planning on wading through water that has a mud bottom or one covered with leaves. That added traction provides a superior level of safety. Felt bottomed shoes were once the most popular sole, however with advancements in rubber soles they are no longer as popular. They do give you a good amount of pliability and provide nice grip on slippery surfaces, however, they do not dry very quickly. As a result, some States placed a ban on felt soled shoes because wearing them while wet allows the spread of invasive species among bodies of water. Felt soles also wear out much more quickly than their more durable rubber counterparts. This is especially true if you use them to walk through any surface other than a body of water. 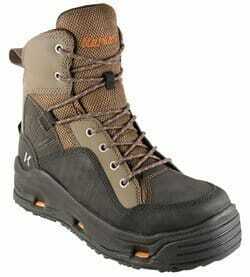 Wading boots that have the tongue attached to the rest of the shoe are ideal for a number of reasons. Not only does this provide extra support when lacing up, but it prevents debris from entering your boots as you walk through the woods or shallow water. If you notice a pebble or twig in your shoes when you cast your first line of the day the last thing you are going to want to do is to walk back to the shore, take off your shoe, and remove that irritant. Better to just have a pair of shoes that protect you from this kind of intrusion in the first place. Heavy shoes make longer hikes more tiring than they need to be. You don’t want to trek all the way out to your favorite fishing spot or hunting stand only to complain about tired legs. You want to enjoy your day and not let your footwear be a hinderance. The best wading boots are made from lightweight materials to prevent this type of scenario. When the shoes get wet, the water adds extra weight, so if they are light enough to start out with then your walk back would be much more bearable. Breathable materials reduce the amount of water absorbed by the shoe while helping prevent foot problems and infections that arise from enclosed, wet feet. Look for materials such as Nubuck, polyester, or nylon as they allow water to move in and out of the shoes without absorbing too much. For durability and added protection, most of the top rated wading boots will include a mix of synthetic leather in areas subject to heavy wear. You may also want to look for materials which are treated with a Durable Water Repellant (DWR) such as Gore-Tex. This further prevents the absorption of water, especially handy when fishing all day. If your boots don’t come with this, you can apply DWR waterproofing spray to them. If you have ever driven through a road that doesn’t drain very well, you will see how quickly water builds up. When you submerge your foot into water, your shoe almost immediately fills up. Even with the best wading boots, water is going to enter them. The drainage system is what sets wading boots apart from other outdoor shoes like hiking boots, and also what determines whether they are good quality or not worth the money. Built in are drainage canals, usually around the midsole. This allows for water to flow out instead of pooling up. When stepping out of the water after a short wade or lengthy fly fishing session, drainage canals can be very handy as it eases motion, reduces weight of the boot, and dries off easily. Manufacturers design most wading boots for you to wear with a thick, neoprene booties as the socks similar to a wetsuit. The reason for this is that your feet are kept warm in colder water and they help keep your feet drier than if you are wearing cotton or wool socks. This causes some confusion with people who have never bought wading boots before, especially if they don’t have the chance to try them on first. Since the neoprene bootie is thicker than a regular sock, some people are under the impression that they need to go up a size or even two when buying a wading shoe. This is not the case. If you wear a size 12 regular shoe, then you are still going to buy a size 12 in your wading shoe unless otherwise noted. The sizing system for most of these types of shoes is scaled to match your regular shoe size but some do recommend going up a size or even two. Now, not all street shoes are made the same when it comes to sizing. If you wear a size 12 in some brands but an 11 in others, go with the size that you most wear. Remember, you want your wading shoes to fit snugly to keep excess water out and protect your ankle so don’t make the mistake of buying something that is too big. 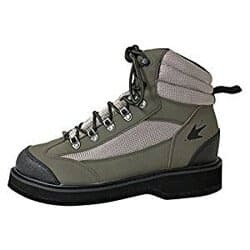 There are quite a few manufactures and styles of wading boots on the market. 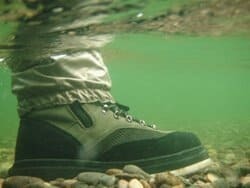 If you have never bought a pair before, or if you are looking to upgrade your existing fishing or wading boots, this guide will help point out five of the best on the market along with some of the features that make them the ideal choices. The Hodgman is made with a 3.5mm neoprene upper and a rubber outsole that covers the heel and toe for added protection. Instead of a lacing system, these wading shoes uses a zipper to seal up and provide an excellent barrier from water even during extended fishing trips. To help the fitting more snugly around your calf and prevent debris from entering, the Hodgman comes with an adjustable cuff to tighten the top. The sole is ridged to provide an excellent grip on soft surfaces but not too much that you won’t be able to move your foot or snag on anything on the bottom. 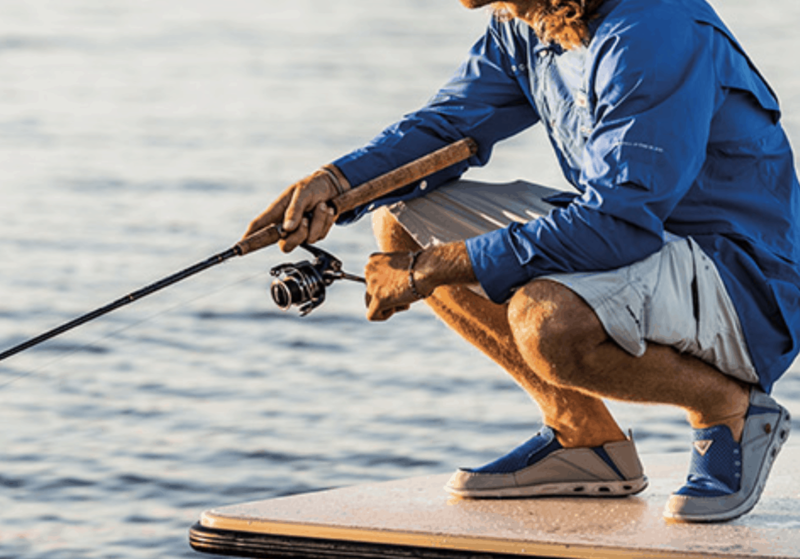 While this is a perfect shoe for warm weather wading, backwater and flats fishing or clamming, there are some drawbacks. Unlike traditional wading boots, if you are going to wear waders or anything else between your feet and the shoe you are going to want to order one size larger. 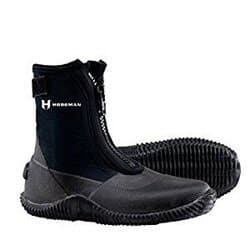 Made with neoprene instead of the more traditional wading boot materials, the Hodgman doesn’t provide as much ankle support so they may not be best for water with an uneven bottom although the outer sole is sturdy enough to protect your feet if you do wear them in water with rocks or sticks. Also, these shoes will expand with wear. The Greenback wading boot is one of the best in class, along with one of the more expensive models on this list. The reasons for this comes not only from the durable construction of synthetic leather and textile uppers but also due to the ability to change out the soles. The Greenback comes with both a rubber Kling-On Sticky Rubber studded sole and a felt sole that is interchangeable depending on your situation. You have the option to purchase additional soles if you lose one or need to replace one due to wear. Using a traditional lace up design with web loops, you can cinch these boots up nice and tight to keep debris out while providing added ankle support to the already tough, padded upper. Its internal drainage system helps remove water as it flows out of the internal channels into the midsole ports to make the boot lighter when you step out of the water. This boot is waterproofed and uses cemented seals at the seams to help keep excess water from getting into the boot. The manufacturer recommends purchasing one size larger than your normal shoe size to accommodate waders or neoprene booties. 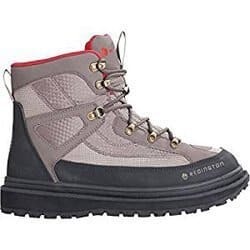 The padded upper and studded sole aren’t the only benefits to the Redington Skagit River boot. Made for the most rugged conditions and river flows, this tough upper provides plenty of ankle support while the rubber toe cap and heel cup offer added resistance to abrasive debris found in the water. With a traditional lace up design, it is easy to cinch these boots up nice and tight. For added ruggedness, the Redington Skagit relies on non-corrosive metal hardware for its lacing system so you never have to worry about a lacing loop tearing on you. This also means they are fine for extended salt water and cold water fishing trips. For a wading boot, it’s odd that the drainage system is the mesh paneling on the sides of the foot. There are no additional drainage channels built into the soles to help remove excess water which is the only downside we could think of. This boot matches the standard wading sizing of meeting your current shoe size however some do recommend going up one for added comfort. 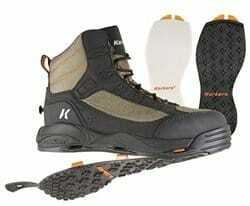 This model from Korkers is the top of the line when it comes to wading boots. Made for comfort and durability the BuckSkin also comes with the Korkers OmniTrax interchangeable sole system. Quickly change between the rugged Kling-On Sticky Rubber soles or the felt soles when fishing depending upon your environment. Both come with the shoe so there is no need to buy anything extra to take advantage of this option. As with the Greenback, you can buy additional soles if replacements are needed. Crafted with their Hydrophobic upper materials, they are made to repel as much water as possible to help keep water out and to dry faster when you are out of the water. For added protection, they offer a rubber toe cap that extends along the sides to the heel to prevent rips and tears to the material. Using a traditional lacing system, you can tie up your boots tight to provide added support to your ankles. This is a tough design with plenty of padding and ankle support. Higher than most, it helps give you even more support than most other wading boots. Eyelets for the laces are traditional holes reinforced with metal. Unlike the metal lacing system found in the Redington Skagit that are extended, these are built into the material. This type of design may make lacing the boots up tight a bit more difficult. With large drainage ports and channels at the midsole, allows you to quickly and easily clear any water that gets inside. For those who are budget conscious buyers looking for good yet cheap wading boots, the Hellbender is for you. Crafted with a durable mesh upper that is reinforced with a PVC outskin this is a tough one. For extra ankle support, the Hellbender provides you with a heavily padded ankle collar that also makes for a more comfortable wear. Lacing the boots up is easy due to its speed lacing system. The eyelets securing the laces to the boot are extended to give you the ability to pull the laces nice and tight for a seal at the top that is perfect for keeping pebbles and other debris from getting in. Its rugged heel pull is another nice feature that makes pulling the boot onto your foot much easier while providing you with a nice grip for removing them as well. One noticeable drawback to the Hellbender is that the upper does not extend as high as the others mentioned in our wading boot reviews. Being a bit lower does lessen the support provided, but is fine for shallow usage or less intense terrain. Also, there is no drainage system built in and the mesh is high enough up on the foot to allow water to pool up. Finally, this model only comes with a felt sole. This is fine if your state permits felt wading boots, but if you live somewhere that prohibits these soles then this is not the model you want to buy. While the Frogg Toggs follow standard sizing, if you are wearing thicker socks it may be worthwhile buying a size up. In our opinion, the Korkers Buckskin is the clear winner out of the five we looked at. When you are buying a wading boot you want support and comfort, but you also want a design that eliminates water and dries fast. The Buckskin does all of this and is a rugged boot that you can wear in just about any terrain. Also, the OmniTrax 3.0 Interchangeable Sole System is a nice bonus that not many other models provide, meaning you can use it to hike your way to a favorite fishing spot, or wear whilst fishing the surf. For water dissipation, the large drainage ports serve well, and the Hydrophobic upper is extremely effective. Perhaps you’re fly fishing in a river or beaver pond, or maybe hunting in a forest, the Korkers Buckskin is a great all-rounder that offers high quality and great value for money.